During the week, I paid a visit to The Glen Resource & Sports Centre with our team at Compliance & Risks. We had a really enjoyable evening of team games and bonding. Always an important factor of the working environment. As I wanted to show the 'young ones', I wasn't an old man just yet, I completed all the activities. 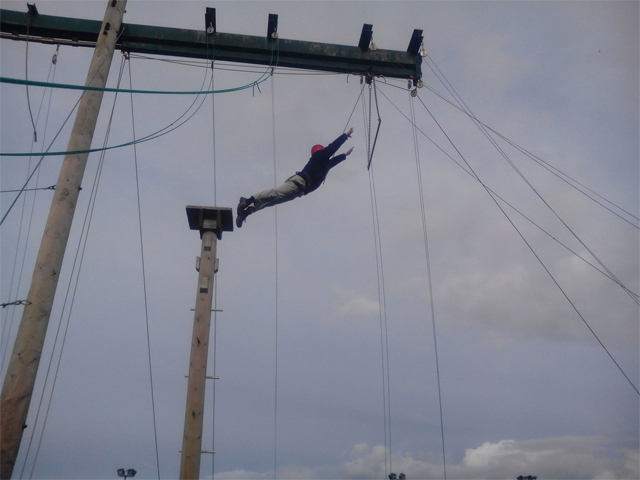 I was told by the wonderful staff that I was the oldest man to ever do the leap of faith - another thing to tick off the bucket list!! My message to everybody is that we all need to stretch a little further to reach our goals.